A big city trip is the start of the end if a great friendship. At dawn the next day, nothing is like it was the day before. Even the best of friendships may grow, or fall, apart. How to know when to fight, or when to let a friend go? After the death of a beloved grandma, Anna returns From Berlin back to her childhood home in a rural part of Northern Norway. She's not very welcome at all. Her grumpy old granddad is blaming her for her parents death 10 years ago, and is suffering from a depression. But there's more hidden in the past. The film is very well done, and the acting is good. Debuting Mari Blokhus (Anna) is excellent. Tobias Santelmann (Her old boyfriend Håvard), last seen in Kon-Tiki is just as good, and old-timer Sven-Bertil Taube (grandpa) is fabulous. It's a great ensemble, but all the small roles are gems, showing great filmmaking. I loved the tiny parts for the other actors. Anders Baasmo Chistiansen is fabulous in his tiny role as a caretaker at the local church. Rune Denstad Langlo Has made a much more serious drama than his first acclaimed "Nord", which I really enjoyed. This is not a comedy, but it's full of subtle humor in which I can't help laughing and giggling to. Grumpy granddad is excellent, but also very funny in his grumpiness. 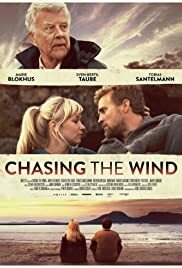 The film brilliantly displays great film-work in detail with sound design (Gisle Tveito) editing, use of music and excellent photography (Philip Øgaard). It's fresh, vibrant and subtle. I loved the opening scenes where is not as much what you see, but what you hear, feel and explore. This is all great, what could have been much better is dialog. There's so much unspoken. Too much if you ask me, with people seeing each other after such a long time. Pleasant, but unreal, if you understand. It's possible to appreciate also this, but somehow I feel that art has become more important than character development and story here. it would have been lovely if more than the granddad had better developed characters. This film is slow paced, like Nord, and is poetic, with some great scenery. But if you're looking for something else than a drama, don't get looking for any dramatically here. This is plain good storytelling with much of the drama on th inside. I was quite touched by the film in a couple of scenes. No wonder this has got some good reviews. Denstad Langlo has proved he's not a one hit wonder! I look forward to his next!